With thanks to Ink Monster for the eBook galley copy of this novel! As always, my reviews are non-bias and fair. 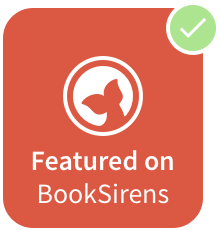 def: a "speed review" is a new feature on Pretty Little Memoirs consisting of shorter reads and eBooks that I've read in a quick and event-filled review. 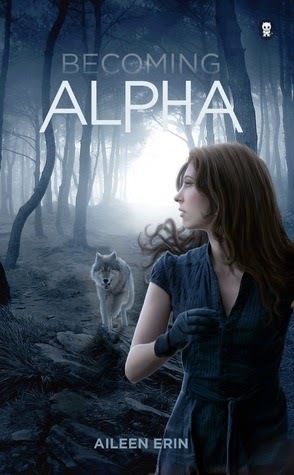 Becoming Alpha is the first in the amazing new werewolf series by Aileen Erin, and just happens to be one of the first books I've read with the main character being a werewolf, except the Shiver series. I love shows like Teen Wolf, Vampire Diaries and The Originals, so the whole "werewolf" and "vampire" thing is pretty straight forward for me, and it's something I already know so many variants of. Needless to say, I wasn't let down at all by the first Alpha Girl novel. First up; the WOW plot! There aren't many authors out there that can pull off Vampires, Werewolves, a Romance within the story and not to mention all the spells going on and the gifted characters. It was just so addictive that I just got caught up in the plot so easily and ended up loving it for these aspects in particular. And the whole storyline of how Tessa became a werewolf is just so different to how it was in, like, Teen Wolf for example, which was also really refreshing. Characters! Right. Tessa was extremely likeable and I connected really quick with her. She was one of those effortless types of main characters that was a true breath of fresh air, because there's nothing worse than not being able to connect with the person telling you the story. So that was really great. Dastien...okay, he did grow on me by the end, so he was a character-in-progress for me throughout the book. I wouldn't say I hated him or anything, but maybe I just connected with Tessa better? Let's talk about that cover...the illustrated-type of cover is such a change from a usual cover, and makes it look all the more unique alike the story. Overall, I was just so happily lost in the world and got swept up with everything in awe. There's truly nothing like the first in the Alpha Girl series, and I can't wait to read the rest! Have you read Becoming Alpha?